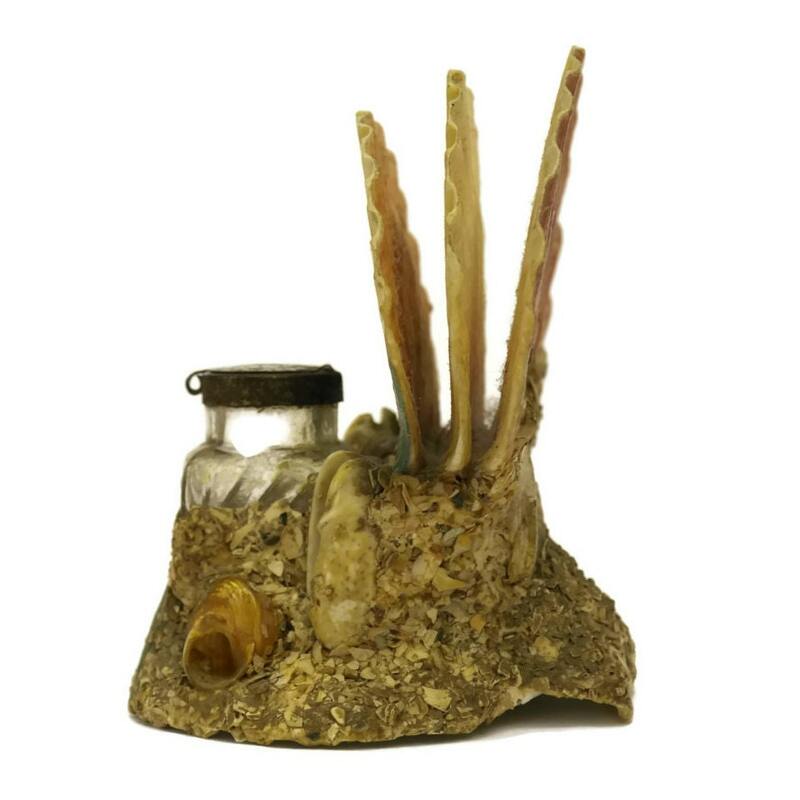 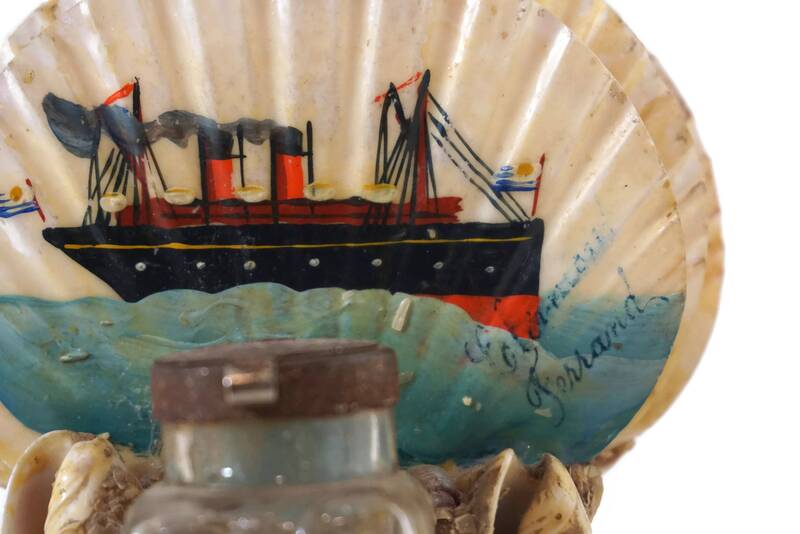 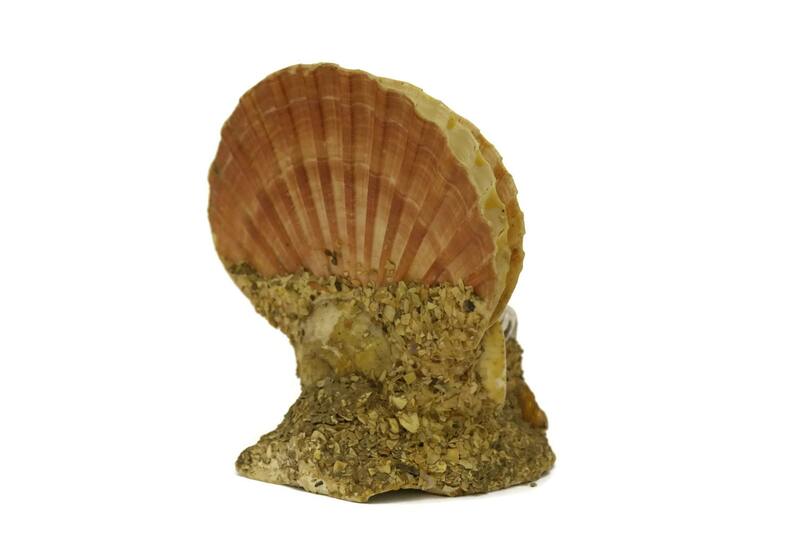 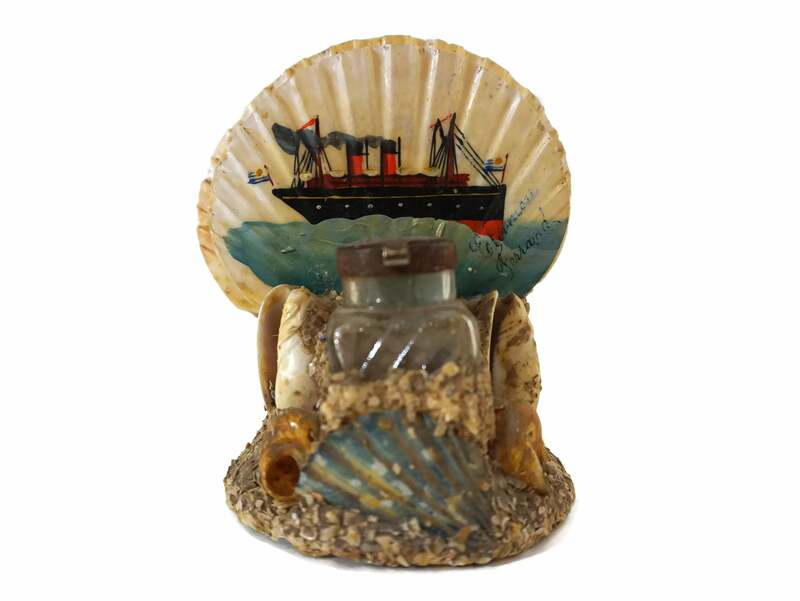 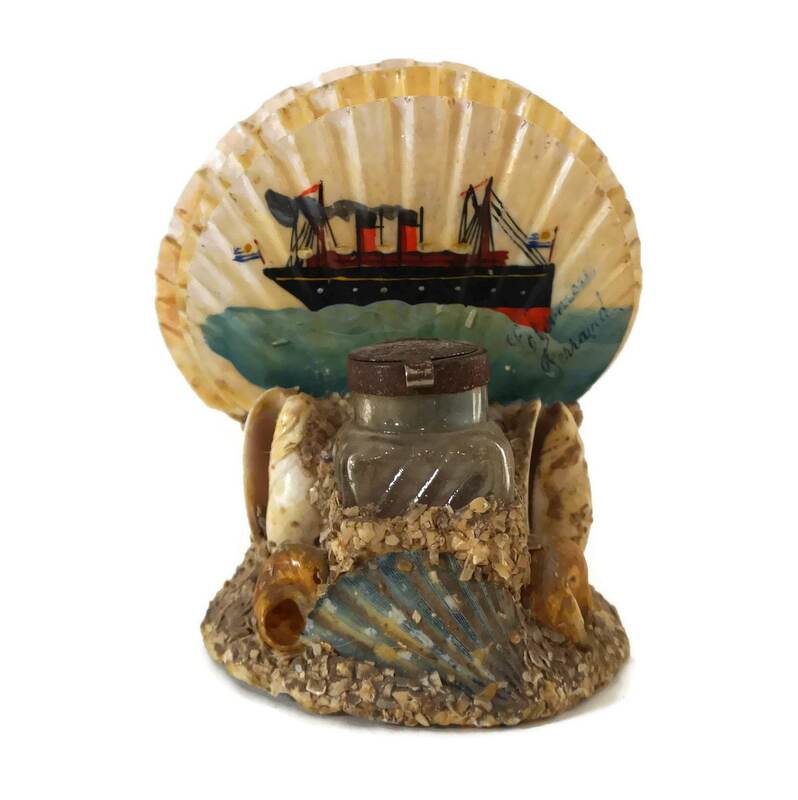 A rare antique French seashell inkwell souvenir featuring a hand painted steamboat. 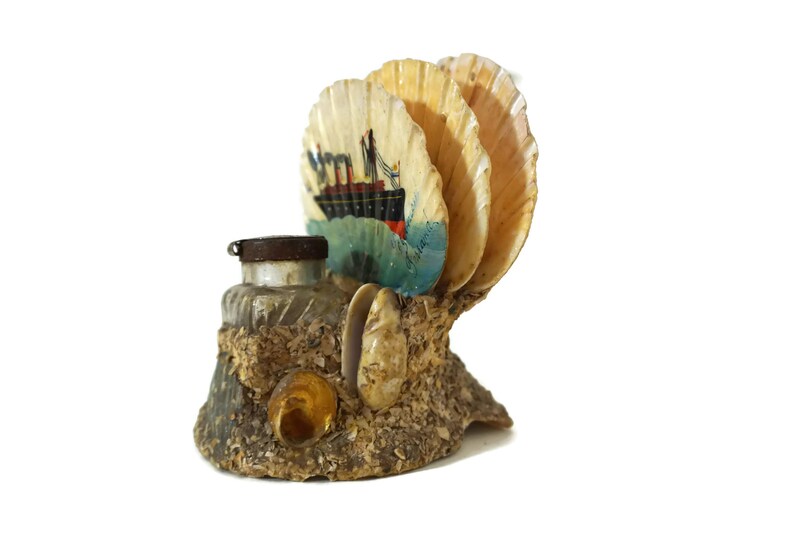 The inkwell has a small glass ink pot with metal rim. 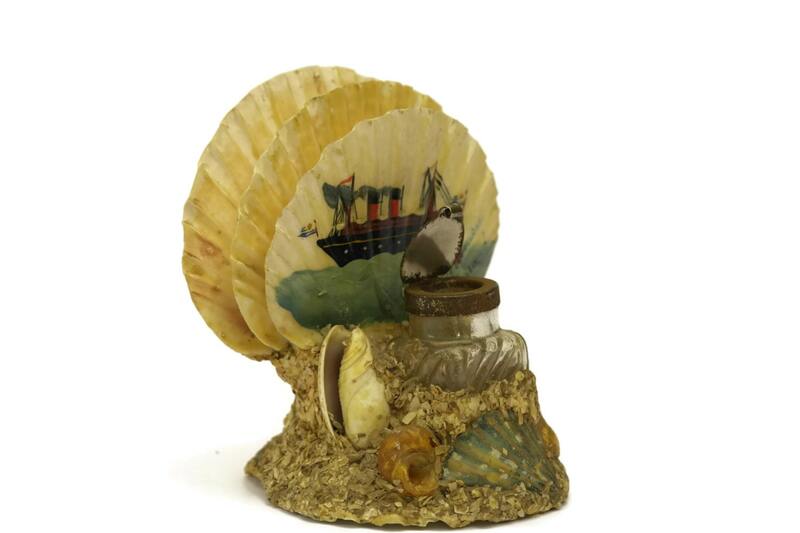 It can be used as a desk organizer. 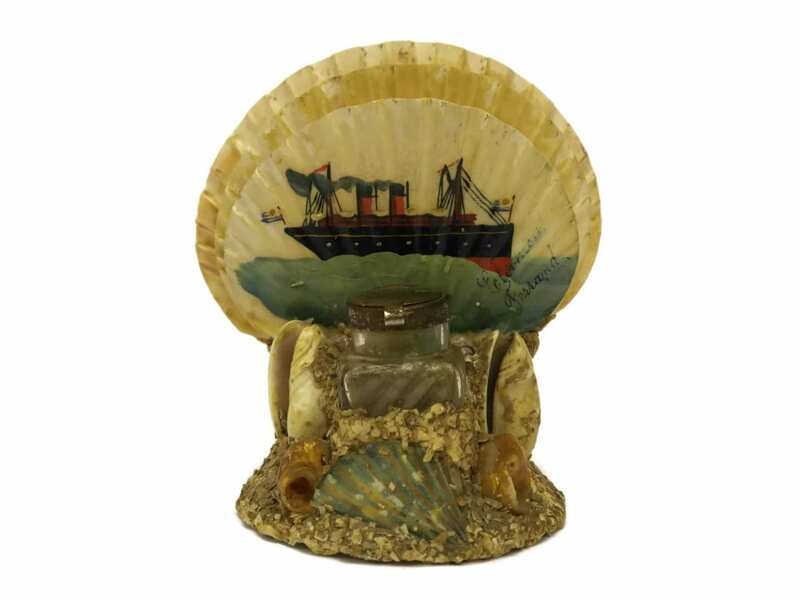 It will make a great piece for your French Nautical Decor. 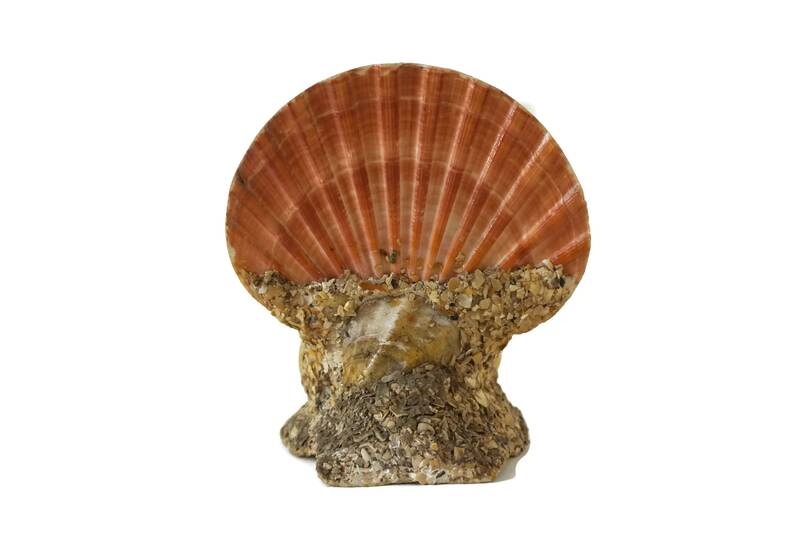 (11,5 cm x 10 cm). 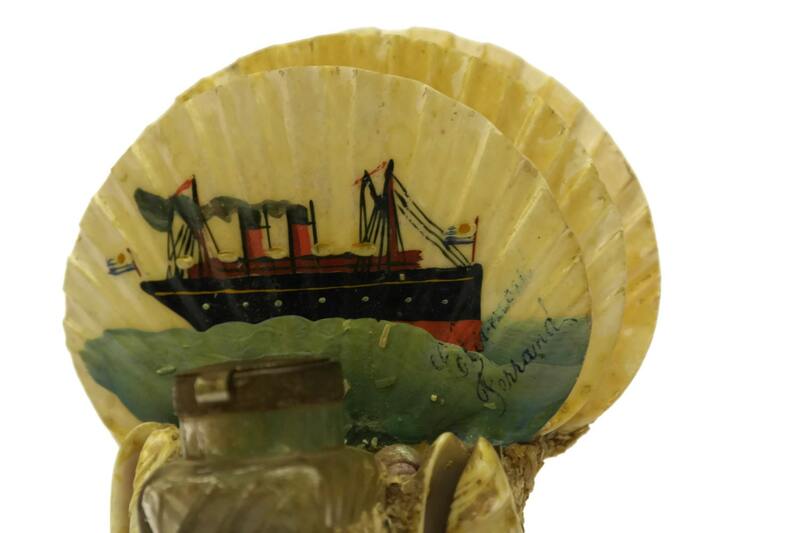 The inkwell is in good antique condition with some signs of age and wear.